During the Progressive Era, a rehabilitative agenda took hold of American juvenile justice, materializing as a citizen-and-state-building project and mirroring the unequal racial politics of American democracy itself. Alongside this liberal "manufactory of citizens,” a parallel structure was enacted: a Jim Crow juvenile justice system that endured across the nation for most of the twentieth century. In The Black Child Savers, the first study of the rise and fall of Jim Crow juvenile justice, Geoff Ward examines the origins and organization of this separate and unequal juvenile justice system. Ward explores how generations of “black child-savers” mobilized to challenge the threat to black youth and community interests and how this struggle grew aligned with a wider civil rights movement, eventually forcing the formal integration of American juvenile justice. Ward’s book reveals nearly a century of struggle to build a more democratic model of juvenile justice—an effort that succeeded in part, but ultimately failed to deliver black youth and community to liberal rehabilitative ideals. At once an inspiring story about the shifting boundaries of race, citizenship, and democracy in America and a crucial look at the nature of racial inequality, The Black Child Savers is a stirring account of the stakes and meaning of social justice. "Ward offers a compelling account of the leaders of this movement, many of them African American clubwomen such as Josephine Ruffin and Frances Joseph-Gaudet. This is a story that has not been told before. . . . This glaring omission in the historical literature has now been addressed thanks to Ward’s meticulous research." 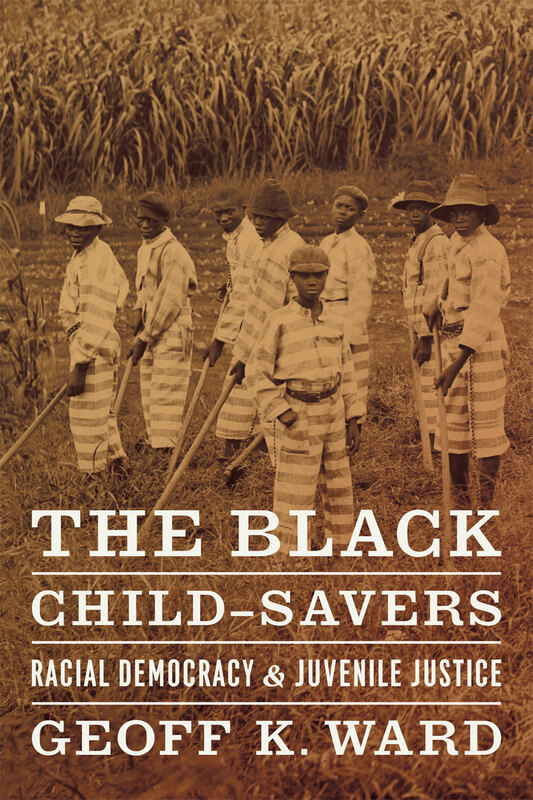 "In The Black Child Savers, Professor Ward tells a compelling, eye-opening story that has never been told before: the history of how our country has treated black children accused of crime, how the juvenile justice system evolved without black children in mind, and how the vestiges of this history persist in the form of the rampant disproportionate minority contact in the juvenile justice system today. The Black Child Savers is a comprehensive, meticulously researched and eloquently written resource for scholars, teachers, community organizers, families of system-involved youth, attorneys, probation officers, judges, and anyone else who cares about racism in the juvenile justice system and how it came to be so entrenched. It is a major contribution on a missing chapter in juvenile justice."